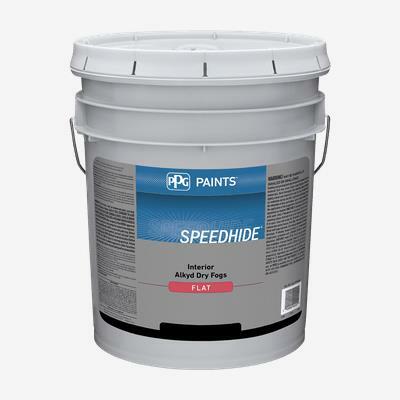 SPEEDHIDE® Interior Alkyd Dry-Fog is a quality, fast-drying product designed for interior ceilings and overhead surfaces. With its excellent adhesion to a variety of substrates, this product dry falls in 10 feet under normal conditions. This product produces a minimum amount of overspray which may be wiped or swept away with a dry cloth or brush. SPEEDHIDE® Interior Alkyd Dry-Fog is ideal for gymnasiums, commercial warehouses, factories, retail outlets, and parking structures.